How much of it do you allocate to social media? According to Duke University’s Fuqua School of Business, marketers are allocating close to 10% of their budgets to social media. And 13.2% of the average marketing budget is expected to be allocated to social media in the next 12 months. Every action you take on social media should be driven by strategy. Often, when you’re on a budget, making appropriate decisions about which aspect of social media marketing you need to invest more money in can be challenging. The ultimate question isn’t how much your budget is, but how you intend to spend it. Some brands spend millions on marketing, while others spend a few hundred dollars and incorporate free promotional methods as well. 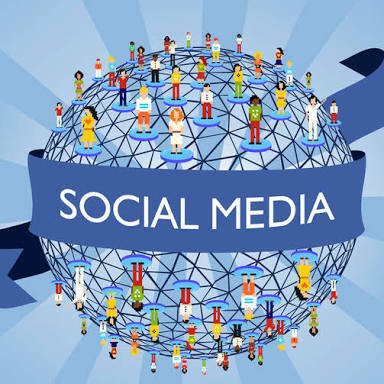 Social media networks have evolved from being platforms where you meet new friends to a business hub – a way to promote your business and increase income. The truth is much of digital marketing expenditures go to content creation, search engine optimization, etc. 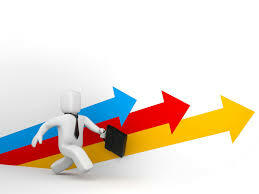 However, another essential path to acquiring new leads and sales is social media. Jenelle McCleary agrees that investing in social media marketing is equally as important as SEO. Specifically, 25% of your total investment should go to both marketing channels, if you truly want to stand out and get your message heard. Regardless, when you’re on a budget, it’s important to spend it well. If you have $100 to invest in social media marketing, what you spend it on will determine how far you go. 1. Define your target audience: Don’t talk to everyone. Who you talk to determines the response you get. Regardless of the size of your business, before you invest money, time, and resources on social media, you need to know why you’re there – and who your target audience is. Firstly, don’t do social media marketing if you think that it’s a quick way to build a profitable business. Sure, social media can influence a user’s buying decisions. After all, 47% of Americans who were surveyed said Facebook has the greatest impact on their buying decisions (compared to just 24% in 2011). However, the focus is not on getting the sale, but on building trust with people, so that they buy today, come back tomorrow, and tell others about your brand. If you’re doing it solely because your competitors are advertising on social media, then you’ll get stuck in other people’s shadows. Worse, if you plan to invest in social media because you want to sell a product rather than build relationships, it’s time to pause for a moment and reconsider. Yes, you can sell a product using social media, but relationships come first. More than likely, these wrong motives companies, brands, and marketers have about social media marketing are borne out of ignorance – when they fail to define their target audiences. That’s where you should start — by defining your target audience. This is the core of an effective social media strategy. Remember that social media marketing is all about relationships, which translates into engagement. i). Broadcasters: These are people who’ll leverage what you shared (your posts), and create something unique and closely-tied to what their fans want on social media. These people are amplifiers. They’re creatives. They can take an idea that you shared and expand on it. They’re one of the best types of users to connect with on social media. Quick tip: As a general rule of thumb, share case studies, exclusive data, important thoughts, trends, and epic ideas. That way, you’ll get the attention of broadcasters – because that’s what they’re looking for. ii). BFF’s: They’re strong influencers of people they know personally. This means that they spend time relating with their own audience (e.g., fans, customers, friends). Consequently, their fans trust them deeply. As influencers, if these people share your idea on social media, it can lead to new business (leads, sales, revenue) for you. Quick tip: Be transparent and honest if you ever want to reach and inspire the BFF’s, because they value the relationship with their audience, more than anything else. BFF’s will go the extra mile to prove the authenticity and source of your data/result. They can work for or against you. When they share great content with their fans, you’ll get new business. On the other hand, if they happen to share negative stories about your brand, you’ll be in a serious mess. iii). Scout’s Honor: These people have earned the trust of their massive audiences on social media networks. You can reach out to these people on social media if you have a great idea to share. But offer something of social value (e.g., retweet, positive reviews, brand mentions) first, before making a request. iv). Opinionated: These people want to be a part of your cause. They’re influencers — but to get their attention, you’ve got to be smart. Ask them to comment on your new book or invite them to your conference to participate in or lead a session. If possible, get them involved in your new project. The moment you do that, they’ll gladly tell other people about your brand on social media networks. v). Informers: These engagers share information with their social networks. Once they come across a valuable resource, they’ll share it with their audience. Remember, not everyone on Facebook is in your target audience. I think the best place to begin is to develop your user persona. We often refer to it as “buyer persona,” but I want you to eliminate the word “buyer” for now and focus on the user. Here’s Clark Andrew’s user persona. Take a look at the motivations, goals, frustrations, personality, and technology sections. These constitute the core of what makes Andrew either the right or wrong person to target on social media – depending on your own business goals. Why should you focus on a user, rather than a buyer? Well, it’s a lot easier to build relationships through social media marketing, then gradually turn that relationship into a transaction. Your user persona is simply the diagrammatic representation of the person you want to reach on social media. Armed with the 5 different types of people that are already on social media networks, you can easily develop your social user persona. 2. Select social media channels that have a culture. Culture is the way of life. When it comes to social media, every channel has its own established culture – and they expect users and advertisers to approach their platform in a similar manner. Spreading your eggs across several baskets will likely not produce results for you. Focus is the key. When it comes to social media channels, having a “less is more strategy” will get you the best results. Which social media channel will work best for you? There’s no single, universal “best social media channel.” But there is the right one for your type of business. Just understand how each one works, and you’ll be able to maximize your investment. No doubt, social media networks have evolved over the years. For instance, Facebook has evolved from a simple PPC advertising platform to a databank of information on audience insights, demographics, and so forth. When the Custom Audience and LookAlike Audience features were introduced, it became pretty easy to create campaigns that are targeted at a group of people. Right from the Power Editor tool, you can easily upload your email subscribers list (in CSV or TXT format), then Facebook will reconcile your list with those in its database, and send your ads to them. On the flip side, since you’re on a budget, Facebook may not deliver the best result for you. It could be Instagram. I haven’t made significant returns on Facebook yet, but I’ve generated $332,640 in 3 months from Instagram. But don’t think that I paid Instagram to advertise my business. The trick I’ve learned is that you have to find popular social profiles that aren’t monetizing but are willing to promote your products and services for a quick buck. I know that sounds simple, but there is actually a bit more to it. Through this uncommon approach, I was able to generate over $332k in 3 months from Instagram. But I’m not the only one. Dan Fleyshman, co-founder of UWheels, generated over a million dollars, by having popular Instagram models and celebrities post about his product. In summary, you may have to spend some money on the major social media advertising channels. I strongly believe that running campaigns and testing everything is the best way to ascertain whether or not you should stick to a channel. A value proposition is simply a promise of value. It makes you stand out from the competition. Whether you want to promote a particular product using Facebook ads, or Instagram PPC, you need to differentiate it from similar products. Why would people visit and like your fan page, when there are so many other pages to like and follow? For example, one of the reasons why Michael Hyatt is successful at promoting his page is because he gives away an invaluable ebook, Maximize Your Message. All the user needs to do is signup and download it. When you advertise on Facebook, Twitter, Instagram, or LinkedIn, a value proposition is what motivates the user to click on your ad. Offering 20% off a product can be a motivating factor to getting clicks and sales. Or maybe a customer testimonial would be better for you. Anything that portrays the strong benefits that your product provides is key. 4. Develop different types of content, then track performance. What type of content is ideal for social sharing? This is hard to tell. You have to test it out for yourself. 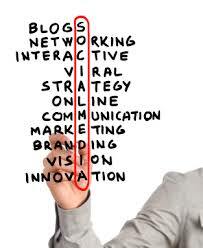 Doing social media marketing on a budget requires a flexible approach. You don’t have to stick to written content alone. The truth is that most of your target users on these social media networks prefer to watch videos over reading text. If you ignore that preference, you’ll ultimately waste money. Trust me, you need to find killer ideas for your social media content. If they click on your ad, because you’re addressing the same topic they have interest in, but your content format doesn’t appeal to them, they’ll leave without taking profitable action steps. And speaking of creating different types of content, if you want to solely reach business professionals, then LinkedIn is the best social media channel for you. You really need to know the best content to post on social media. I can guarantee that you won’t see pictures of cute cats on LinkedIn, unless it’s to prove a business-related point! Most CEOs don’t trust social media. They argue that getting leads from social networks is hard, but that’s only true if you create the wrong type of content. Data from HubSpot shows that in 2013, about 52% of all marketers surveyed actually sourced a lead from Facebook. That number almost doubled in 2015. In addition to written content, such as articles and blog posts, you should consider creating tutorial videos, infographics, podcasts, and other content media. Above all, “Tailor your social media content for each platform.” And always have a relevant and beautiful visual in the content you share on social media. When you advertise on social media PPC channels, use visuals to capture your user’s attention. In fact, when optimizing content for social media, use images to get more shares, tweets & retweets, comments, etc. Spend your social media marketing budget wisely. Remember to amplify your reach by promoting your social presence on different platforms. You also need to develop a page/social synergy, and build relevance. In other words, your landing pages, your fan pages, and other social media profiles should all align with each other. To be able to replicate your success, or know when to stop using a particular channel or tactic, you need to document your strategy and measure your results. Data from Content Marketing Institute found that brands that document their social media strategies are more confident and effective in achieving their goals. They’re also able to justify their marketing spend to management. Use this 4-step approach to get the best results from your social media marketing budget. Previous Post What Is The Unique Value of a High Converting Landing Page? Next Post 30 days influence guide for twitter, see how it works?